This is a game about secrets. Your secrets may be dark, but the Haunt’s are deadly. Whose past will be uncovered first? Who will survive? 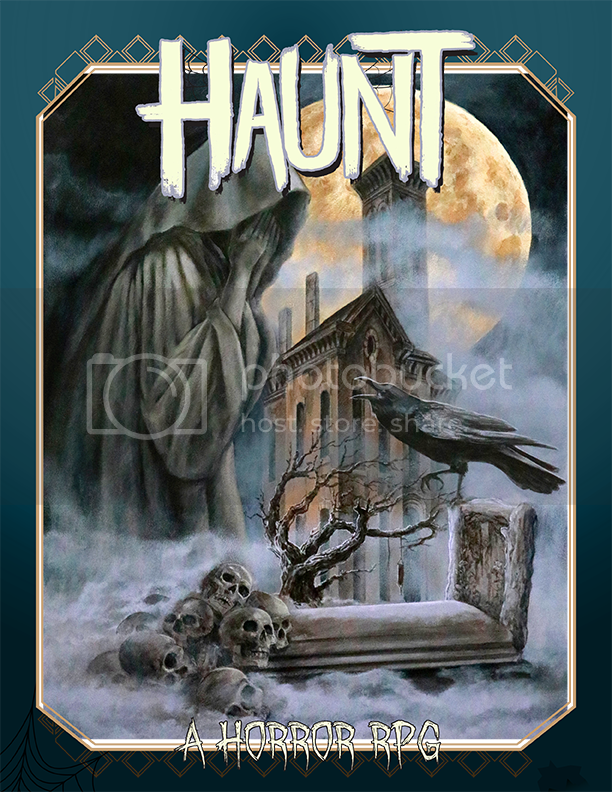 Haunt is a horror tabletop roleplaying game designed for 4-5 players. Haunt does something different than most RPGs. In it, the players hide information from the Game Master. Players will play as paranormal detectives, exorcists or psychics, with a goal of stopping a haunting, possession, or any other supernatural event. These “haunts” will attempt to learn your character’ s darkest secrets to gain an advantage over them and break their resolve. Haunt uses simple rules paired with detailed locations to give a greater sense of immersion in the environment. This allows you to jump right into the game without having to read pages upon pages of rules. Six archetypes are available for characters to play as. Each one has unique statistics and a special boon. But true character creation begins at the secrets. This game absolutely relies on trust between the players and the Game Master, cheating or lying ruins the fun for everybody. Simple rules allow for fast pickup and play. Unique mechanics for player secrets.